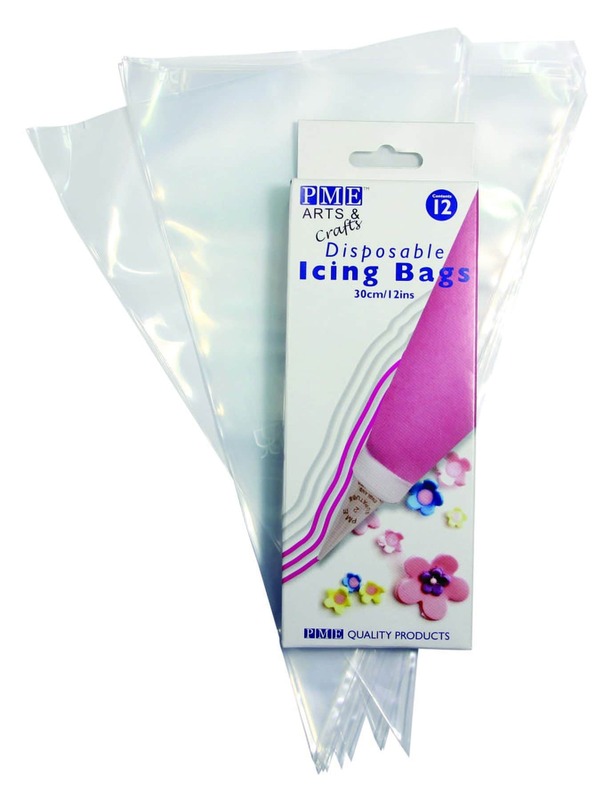 PME Disposable Icing Bags are ideal to use with our full range of PME Supatubes / Tips, and most other standard size tips. Set includes 12 pieces of 12″ Disposable Icing Bags. Tip & Coupler not included.